**Vehicle Options listed are when the unit was originally built. Please confirm the accuracy of the included equipment by calling the dealer prior to purchase. **Vehicle Options listed are when the unit was originally built. Please confirm the accuracy of the included equipment by calling the dealer prior to purchase. Plus sales tax, title and license. A documentary service fee up to $150 may be added. The documentary service fee is a negotiable fee. Only equipment basic to each model is listed. Call or email for complete, specific vehicle information. Mercedes-Benz offers are subject to change and may depend on location of buyer’s residence. 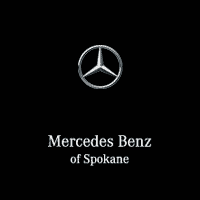 Mercedes-Benz of Spokane	47.671250, -117.112530.